Do you ever have trouble writing emails, email newsletters and getting your emails read? Lots of veterinary professionals have trouble with how to write emails, how often they should write emails how much content they should put in there. If you’re like me you have probably heard everything from emails don’t work to emails are a great tool. Well I happen to think emails are a great tool and they are something you can use to really boost engagement and business at your practice. 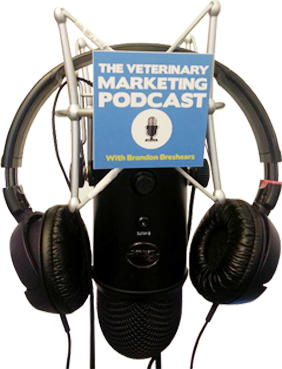 In today’s interview with Dr. Mike LoSasso, we go over all of the important things to consider when writing email marketing campaigns for your veterinary practice. Dr. Mike LoSasso is an expert copywriter and owner of Newslettersforvets.com, a service that writes your practice’s monthly newsletters. Dr. LoSasso has a tremendous amount of experience having owned and run a veterinary practice and is currently an emergency veterinarian at Emergency Animal Hospital of Collin County, and he shares his wealth of knowledge in this episode. I feel that email is extremely important for your veterinary practice because this is a list that you actually own. With other marketing, like social media or search engine optimization, you have no control. You are essentially renting your lists as long as the platform lets you. Changes in SEO algorithms or policy changes within social media can make it difficult, especially if you aren’t keeping up with everything. With email you get consistency and reliability(as long as you are consistent and reliable), the only issue is you have to get the emails opened to be effective.